When i should choose one thing, that i really hate about Notes i am sure that i will choose the property box with the document items. Not only that the box is not resizable and really very small on todays big screen, the biggest problem is that you can not switch to Designer and still see the items of the document in the notes client. 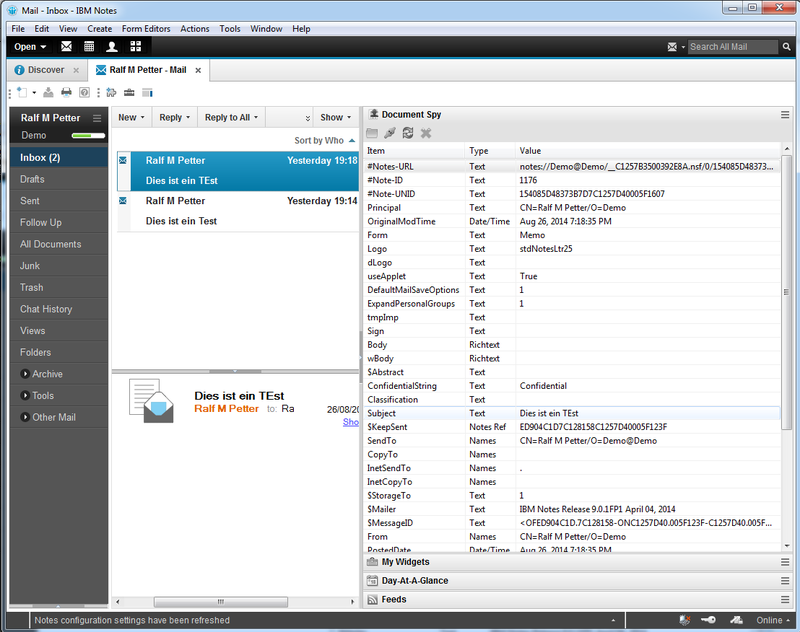 So i have developed the Document Spy which overcomes some of the limitations of the Notes property box. It will show you all items of the current document in a nice table so that you can see the values of all items on one look. You can copy the value of an item to the clipboard with a right click on the row, or you can select the row with the left mouse button and then use STRG+C. You can disable or re enable the automatic update of the document in the spy with a simple click on the Auto refresh icon in the toolbar. This is very handy if you want to transfer multiple values to another document. When you have disabled the automatic refresh you can always reload the current document with a click on the refresh icon in the toolbar. 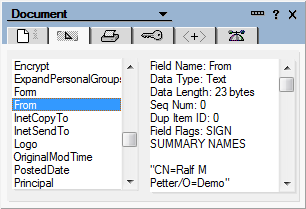 As a Bonus the document spy can open and view all profile documents in the current database. 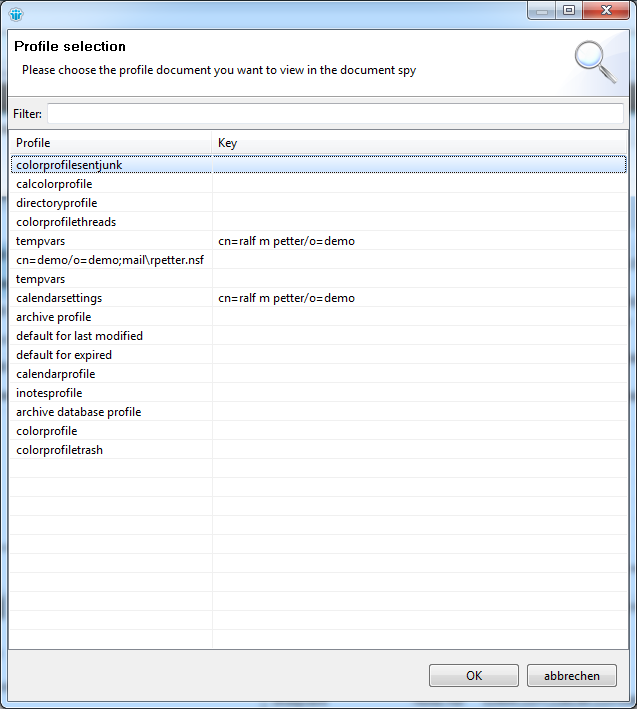 To open a profile document click on the folder icon in the toolbar and select the document you want to view from the Selection dialog. Reminds me of an old sidebar app, but now on Steroids. Big wish: make the fields editable! 2. better viewing of multi-value fields, maybe in a second table when selecting the field-row. Editing of fields is already in the work and i hope i can provide a Beta Version next week. Ability to Create a new Field on the selected document would be a good extension ?